Are You Swinging The Club Or Hitting The Golf Ball? Do you Swing The Club or do you Hit The Golf Ball? This question came up when I viewed a great video on YouTube. The title caught my attention and was thought provoking. It is a very good question to ask yourself. I had to ask myself which one I was doing. 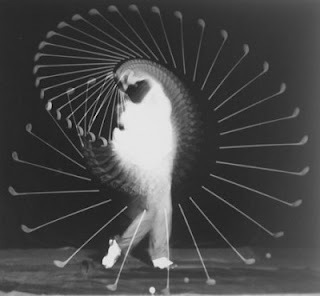 Obviously, we swing the club in order to hit the ball...but what is running through your head when you swing the club. Are you thinking swing or are you thinking hitting the ball? 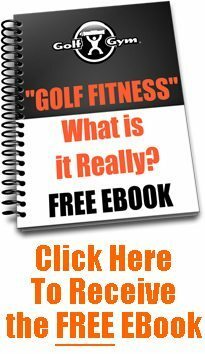 I posted the Video on the GolfGym Facebook Page along with tons of information for golfers of all levels. This month we focus on Warming Up and Stretching. You can also find the video on YouTube. I was at a PGA Merchandise Show several years back when Butch Harmon was giving a presentation. He said "The ball should just get in the way of a really good swing" (or something very close to that)...and he offered a free lesson on a sure fire way to gain 10 yards in just 10 seconds..."Move up to the white tees". 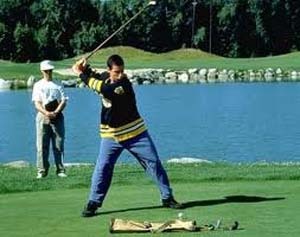 But seriously, Butch Harmon was telling us that all you've got to do is swing really well and let the ball get in the way. I know it sounds easy, but why not give it a try. The following story is from Grant Garrison at Golf Industry Central in Australia. On Monday, the new green-keeper went to work with his lunch box in his hand, during his lunch break he complained to his new staff about his vegemite sandwich. 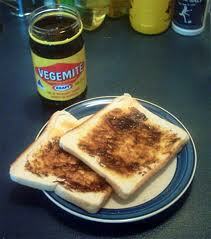 His staff ignored his complaints but on Tuesday he complained even louder about his dislike for his vegemite sandwich. 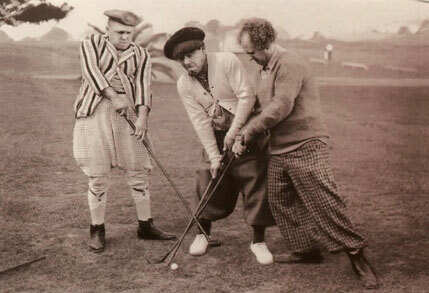 Is your golf game like that fellow and his sandwich? Have you been doing the same thing day after day expecting a different result? I will admit that, although I am very pleased with my golf fitness workouts and am seeing benefits from that, I found myself trying to play the same shots on the same holes with the same bad results...hoping that "this time" will be different. On #16 at the club I play regularly (because we live there) I would pull out a driver every time to, with high hopes, hit a very straight drive that would hug the trees along the left and end up in the middle of a very narrow fairway just in front of the green. It's really painful to admit that in the 20 times I have played that hole, I actually pulled it off just once. Last weekend I played the course twice (my first time playing 36 holes in one day...ever). In the first go around on #16, you guessed it, I pulled out my driver, crossed my fingers, clipped the trees and bounced left to an unplayable lie. In the second 18, I played a 4 iron a little to the right into an open area and followed with a seven iron into the green. I actually pared the hole. If this is what you are doing with your golf fitness routine and not seeing the results you are looking for...change the pattern and mix it up a little. If you are in the habit of not warming up or stretching before your round, then plan to get to the course a little early next time and get a little sweat going with some simple stretches and warm up exercises. 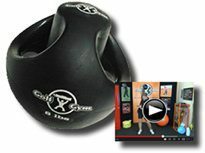 Visit our Facebook page (http://facebook.com/GolfGym.Fitness) to see many different routines from several fitness pros. While you are there, we would like it if you LIKE us. Dr. Wayne Dyer says, "Change the way you look at things, and the things you look at will change". This is what Larry at www.weekend-golfer.com wrote me after an episode at the airport while carrying his GolfGym PowerSwing Trainer in his carry on bag. He continued, "I recently made an airline trip to Boston, MA. 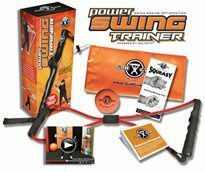 I decided to take my GolfGym PowerSwing Trainer with me. For this trip I decided not to check my luggage and do a carry-on to save a bit of time. I had my GolfGym in my duffel and "flew" through security at O'Hare in Chicago. NO questions asked. On my return flight security did not know what to do with the GolfGym. Then scanned my bag several times and then had to have a supervisor take a look at it. I can tell you she was not a golfer and had no idea what she was looking at. Once I explained to her, she was still unsure, so off she went to check with her supervisor. When she finally return she said I could take it through. 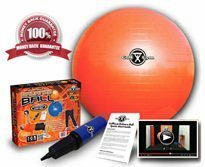 GOLFGYM IS TSA APPROVED FOR TRAVEL. I don't know if it is official but I am going to use that for my excuse if I get stopped again. 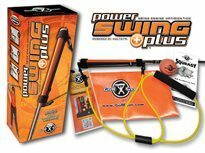 We can't be certain that in fact the GolfGym PowerSwing Trainer is TSA Approved, but the story put a big smile on my face.